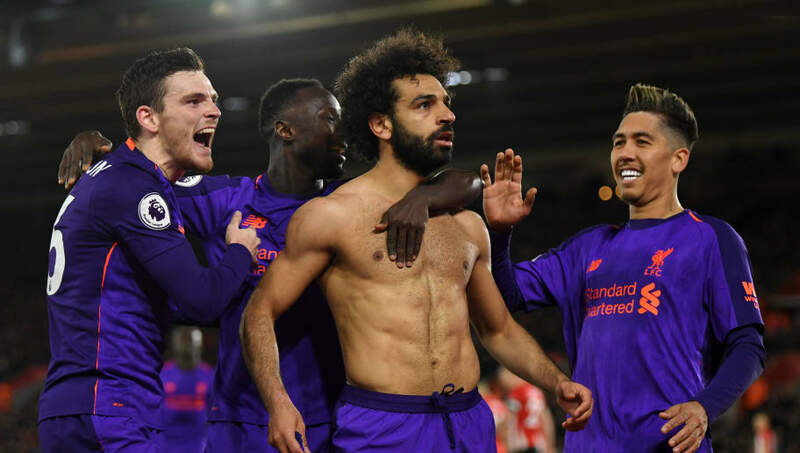 ​Former Liverpool star Paul Ince has revealed why he believes his old side will beat out Manchester City in the race for the Premier League title this season. The Reds are currently two points ahead of the Citizens at the top of the table, though Pep Guardiola's side retain a game in hand on their rivals. However, speaking to ​Paddy Power News, Ince explained: "A few weeks ago, I said that by this stage we’d know who’s going to win the Premier League because Man City and Liverpool would be dropping points. But, the fact is, neither of them are. "In 1993 when I won the league with ​Man United, there were defining moments in that season. The Fergie Time win over Sheffield Wednesday for example, we knew then that the title was ours. "I sense that now with Liverpool. "They’re not absolutely blowing teams away, they’re just having defining moments and decisions on their side. Against Everton when Jordan Pickford made that mistake, or against Fulham with the penalty, or Shane Long’s mistake last week. Things are happening for them that make me believe it’s their year. "Decisions are falling for them, and that’s what you need in the title race. You need those decisions and the luck on your side. Liverpool aren’t even playing particularly well in the league, it’s scrappy to watch, but the end result is still the same – three points. "They have got to go on and win it now. Chelsea is a crucial game for them because of previous memories they’ve had in the title charge. I honestly believe ​Liverpool will win it this season. Everything is on their side." The 51-year-old, who also played for Man Utd, also had time to analyse his former side's defeat to Barcelona in the Champions League quarter-final first leg at Old Trafford, and he was dissatisfied with the way the Red Devils' best players shirked their responsibility. He exclaimed: "On the night, you’re looking at the so-called big players like Paul Pogba, Marcus Rashford and Romelu Lukaku to make something happen. You look at those to get the team going – and it didn’t materialise." He continued: "These are the kinds of players you look to change the game in such an important match, and it’s disappointing they couldn’t... It’s a sad sight that at Old Trafford, in the ​Champions League, United aren’t having a shot on target."